A rich and luxurious collection, hand-knotted by superior craftsmen from around the world, producing beautiful designs steeped in history and tradition. 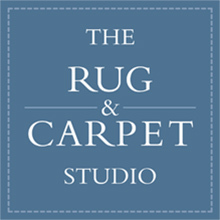 Our unique selection of rugs range from small rugs to room-size carpets, all carefully selected for their beauty, rarity, quality and condition. Kelims are flat-woven and are also known as flatweaves because, unlike knotted rugs, they have no pile. Flatweaves are extremely light and versatile and can be used as floor coverings, draped over furniture or displayed on walls as works of art. They have a bohemian appeal and look wonderful on either wood or tiled flooring. Our kelims are woven in Turkey, Iran, Afghanistan, India and Morocco and usually feature geometric patterns with colourways ranging from soft pastels to bright, earthy tones. Runners are narrow, long rugs that are perfect for any hallway, transforming a stark, uninviting area into one infused with colour, pattern and texture. Runners also work well when dividing large spaces. Our runners are available in traditional, tribal, vintage and contemporary designs. Sizes start at 150cm x 50cm and can extend to 600cm in length (20ft). Our bespoke service allows you to adapt an existing design or even create something entirely new. We can colour match from fabric samples and adjust the pattern to any scale. There are 100’s of colour tufts to choose from and many different weaving techniques which can all be incorporated into your bespoke design. We specialise in hand-crafted rugs using the finest quality wools and silks and made in the precise colour, size and design required for residential and commercial properties. Browse through our latest offers. A fantastic selection of sale rugs and gifts all genuinely reduced. We add new stock all the time so please check our offers regularly.